Home / A Face Anyone Could Love! How can you resist this face? The lush red hair, the stellar hat, the haute couture gown. 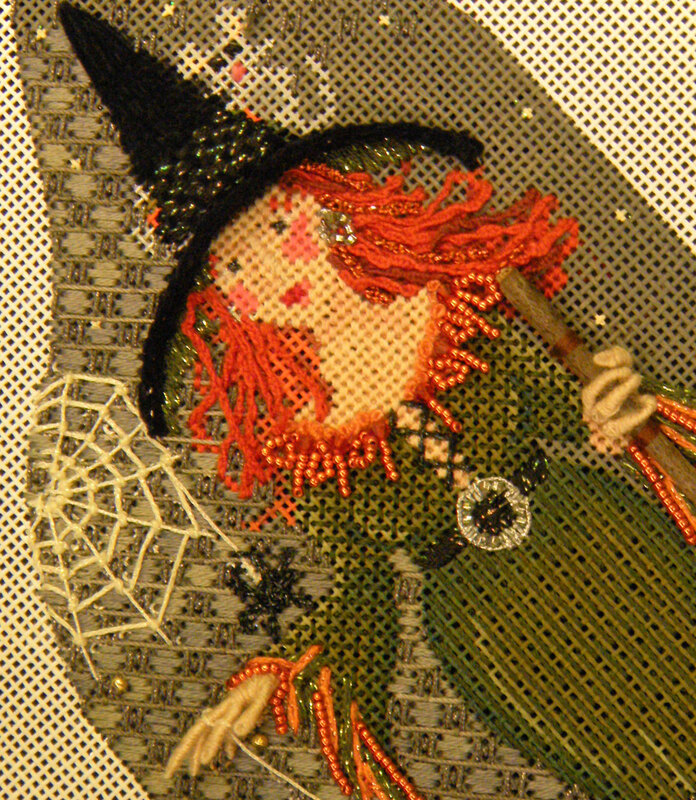 They all add up to Kelly Clark’s latest creation, Elvira. 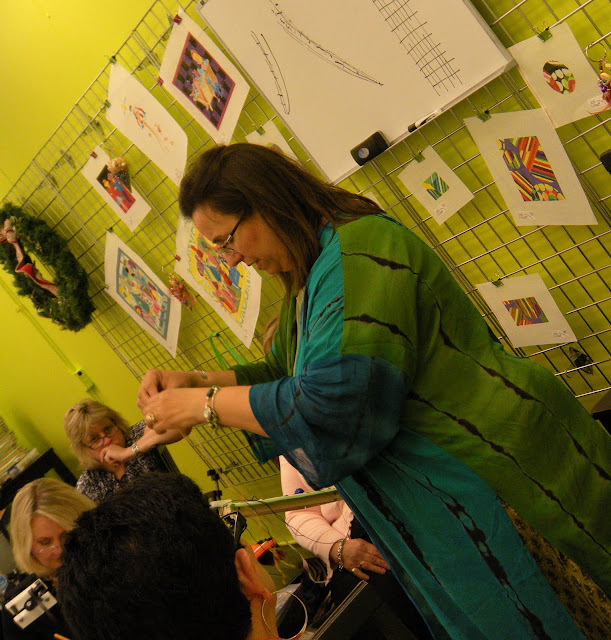 Today was the first day of a three day teaching event at Bedecked and Beadazzled with the oh so talented Kelly Clark. 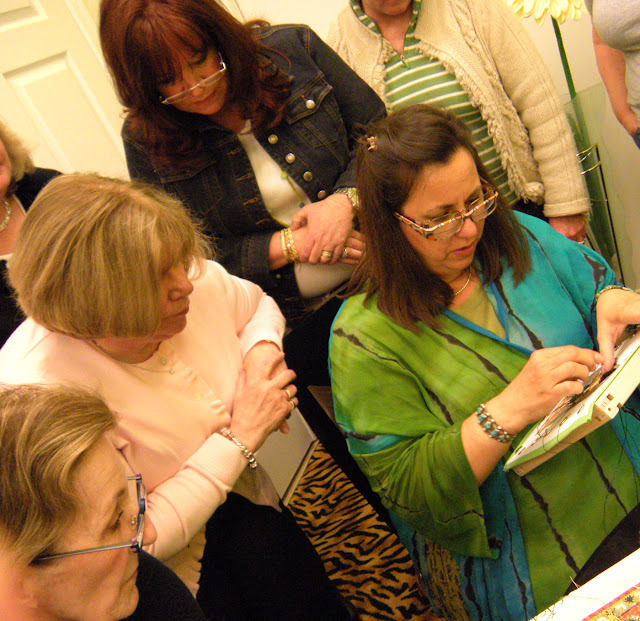 Kelly graciously agreed to teach Elvira for us before she is even launched at the tradeshow in June. We made tiny little wrapped hands for Elvira and a beautiful woven witch hat that is dimensional and very cool. Kelly patiently demonstrated the techniques needed so that our girls could look just as sweet as hers. Look at that magical broom straight from Kelly’s Texas backyard. Wow, what a day we had! Thanks to everyone who came. We loved having you here. There’s more fun planned for tomorrow. Stay tuned. On the broom: was a "bunch" of raffia couched on, folded over & then couched again? Now I'm wanting to move up to your part of the country to be able to take all these wonderful classes! How much fun is Elvira? 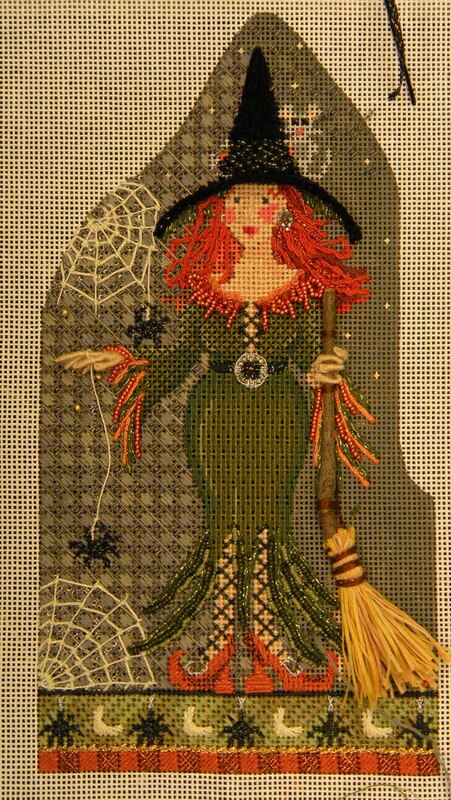 Looking forward to seeing it when it is released to the rest of us and I hope she does a stitch guide for it! Hi All – Yes, Elvira is smashing. She is available through us for anyone who wants her, just give me a call or an email and we'll do the rest, complete with stitch guide. 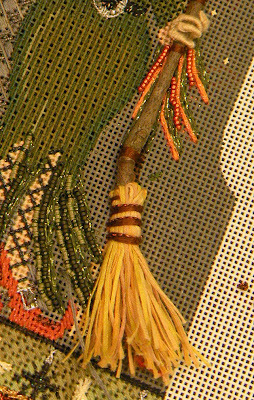 The raffia broom is really seagrass an amazing and wonderful to stitch with thread.